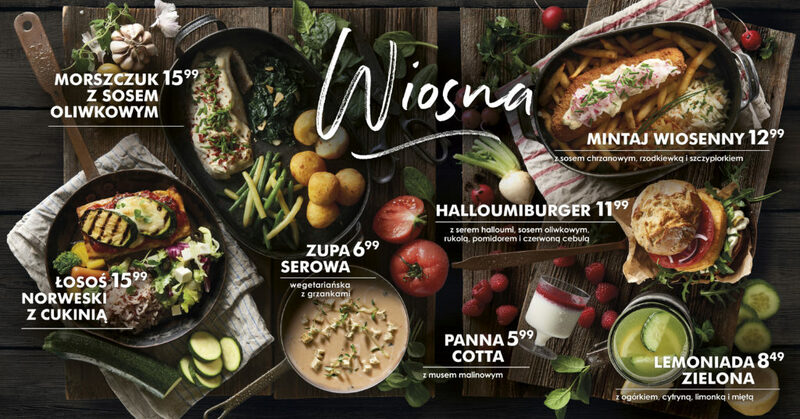 Wiosenne menu w restauracjach North Fish | North Food Polska S.A. The new offer means that from 1 March at all North Fish restaurants the spring version of battered pollock awaits our guests – a juicy piece of fish covered in our own horseradish sauce, and radish, and sprinkled with chives. Restaurants are also offering grilled hake with olive sauce, flaked sundried tomatoes and chives. Spring also brings with it Norwegian salmon with grilled courgette slices, delicate tomato sauce and mozzarella. The new Halloumiburger has been launched for lovers of the Sandwich Fleet and connoisseurs of vegetarian food. This is a crunchy roll baked in house, with a piece of fried halloumi cheese, juicy tomato, rocket, red onion and olive sauce. There are also new additions to the drinks and desserts category – refreshing lemonade made in house with cucumber, lemon, lime and mint, and panna cotta with raspberry mousse. Other special promotional offers are available for customers on the official North Fish mobile app and on the website www.northfish.pl. 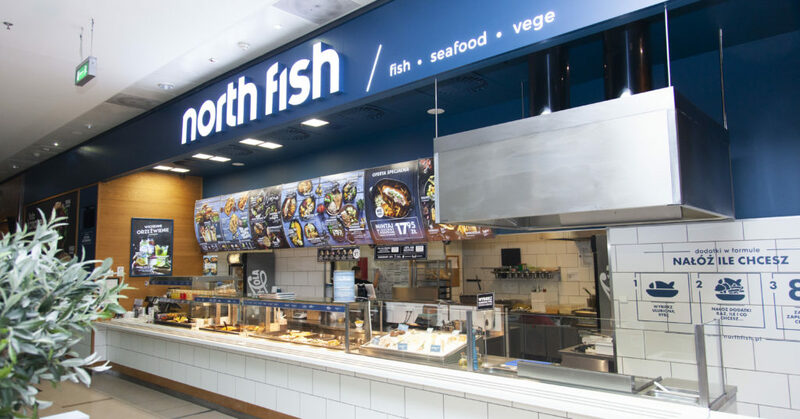 The Spring offer is available at all North Fish restaurants until 9 June 2019.